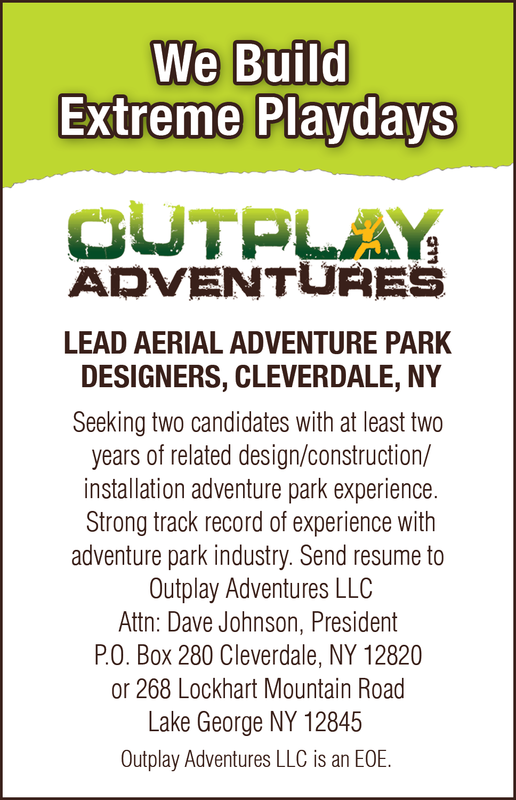 Lead Aerial Adventure Park Designers, Cleverdale, NY. Seeking two candidates with at least two years of related design/construction/installation adventure park experience. Strong track record of record of exp. w/ adventure park industry. Send resume to Outplay Adventures LLC. Attn: Dave Johnson, President PO Box 280 Cleverdale, NY 12820 or 268 Lockhart Mountain Rd, Lake George NY 12845. Outplay Adventures LLC is an EOE.